Porsche revealed the latest version of its renowned 911 sports car at the 2016 Geneva Motor Show on Tuesday. 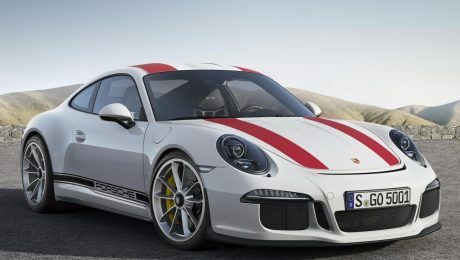 Dubbed the 911R, the new Porsche is a contemporary take on a raw, old fashioned sports car. The 911R – R represents “Race” – is a tribute to the Porshe 911R rally racer from the 1960s.